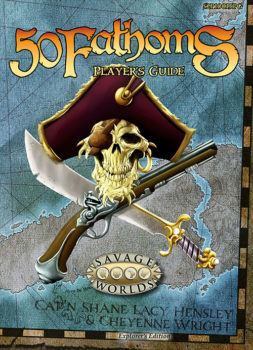 The visitors are sailors from the age of piracy, dashing corsairs, bloodthirsty buccaneers, or savage sea dogs. 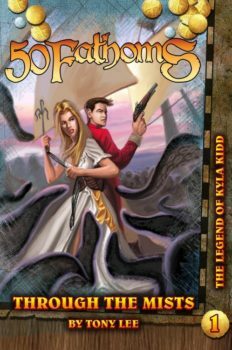 They’ve taken to this new world and now sail alongside its strange inhabitants—crab-like scurillians, massive grael, lonely doreen, mysterious kraken, cruel kehana, and the near-human masaquani. 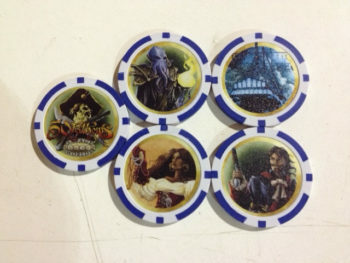 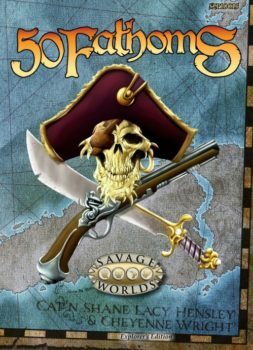 Many believe these visitors are destined to defeat the Sea Hags and save Caribdus, but most just seem interested in plundering her for the forgotten treasures of a drowned world. 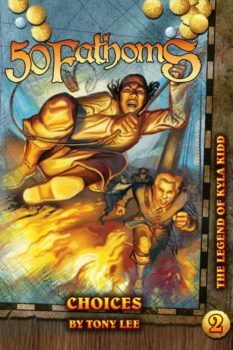 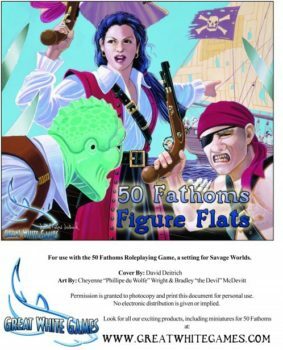 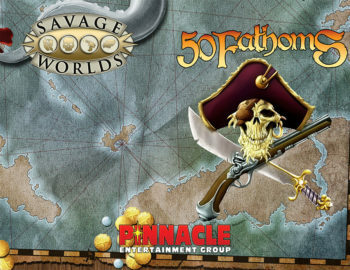 50 Fathoms is a Plot Point setting for the Savage Worlds roleplaying game.